1. In a heavy bottom stock pot over a medium heat add the oil, then the onions and garlic. 3. Next add the thyme and stock, bring to a simmer and cook for about 30 minutes. 4. 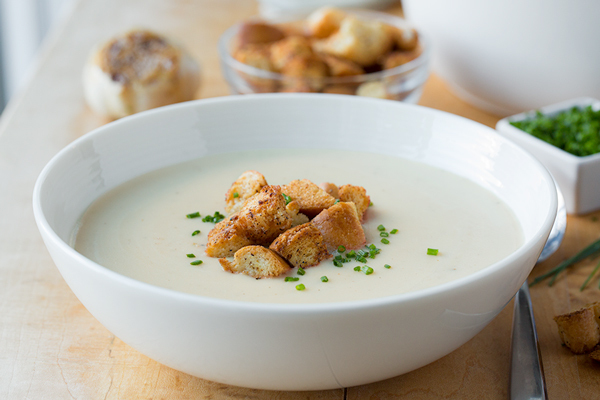 Place the soup in a blender in batches and puree and strain back into a clean sauce pot.